Hi everyone, I hope you are having a great summer. 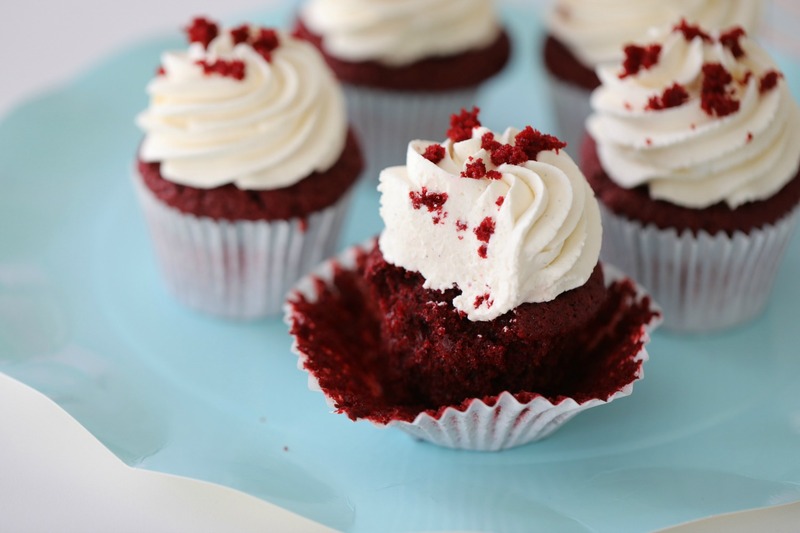 Do you love a red velvet cupcake? 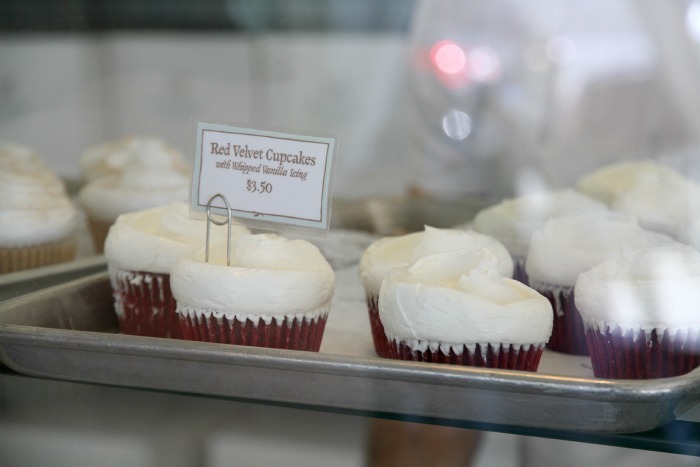 First time I tried a red velvet cupcake was at Magnolia bakery in New York. 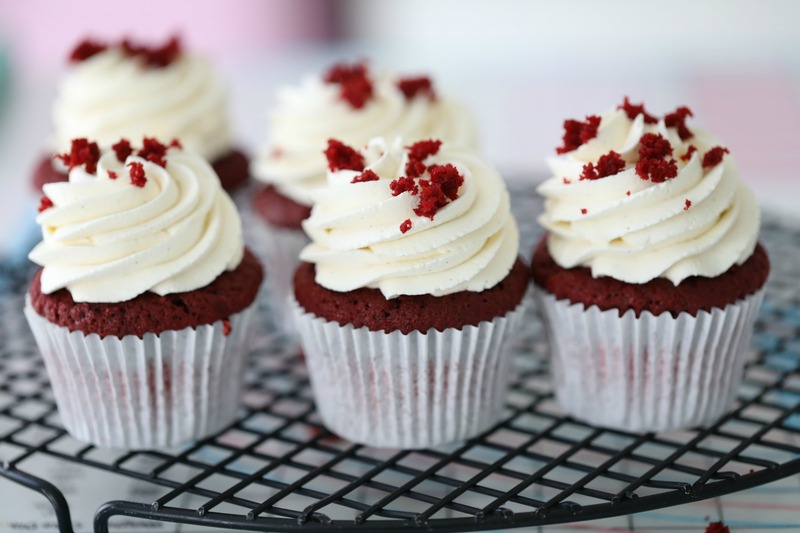 I´m not a fan of red velvet cupcakes not from Magnolia Bakery or the one I made here. This recipe is an old one, with new pictures and I got great reviews for this cupcake on an old post and just wanted to update the blog-post! Instead of cream cheese frosting, I use my favorite vanilla frosting. I topped each cupcake with vanilla frosting and some red velvet crumble! Vanilla frosting you can find the recipe →here. Preheat oven to 350°F (175°C). 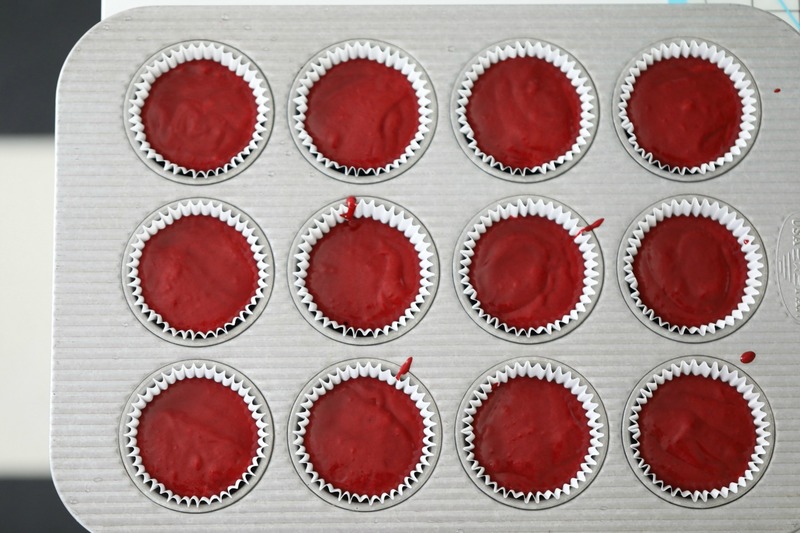 Line a 12-count muffin pan with cupcake liners. This recipe makes 14 cupcakes. 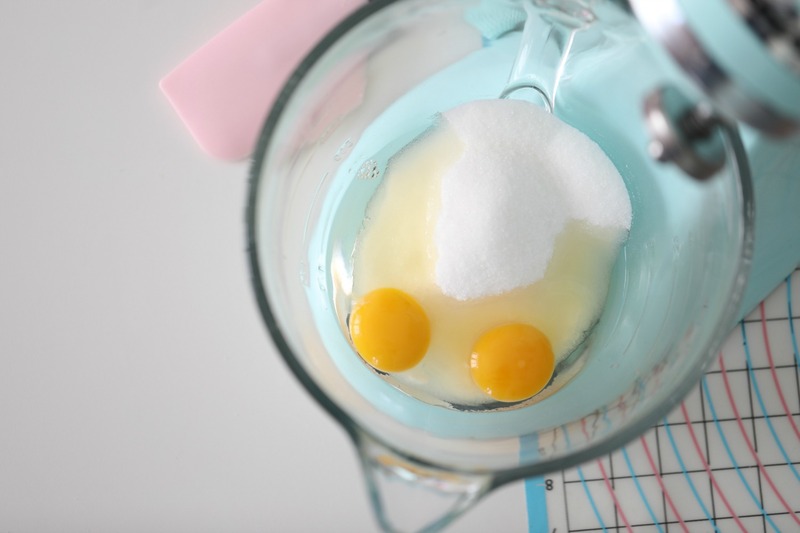 Place the eggs, and sugar in a standing mixer bowl fitted with the whisk attachment and whip for 5-7 minutes, until the mixture is thick and a pale yellow. 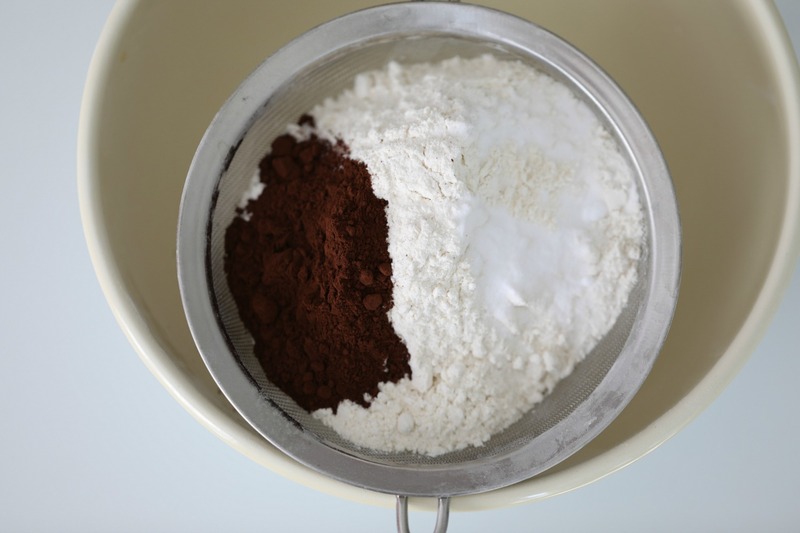 In a separate bowl, combine the dry ingredients and sift twice and set aside for now. 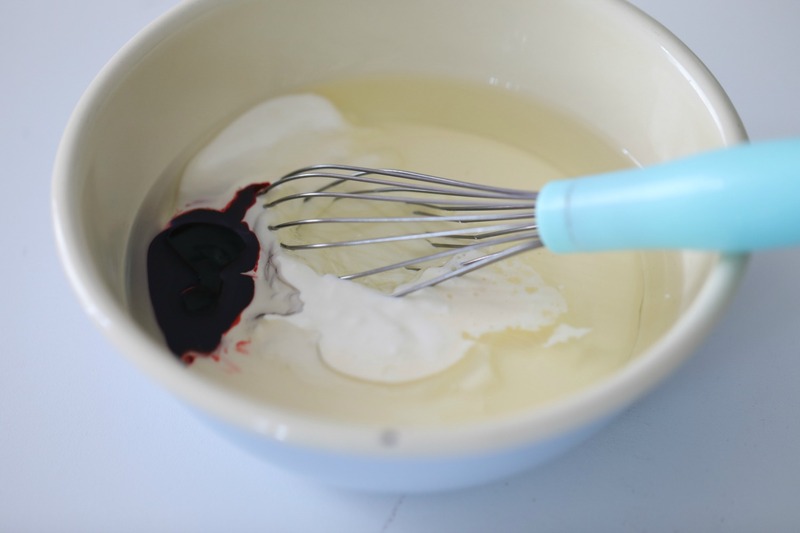 In a separate bowl, combine the oil, sour cream, food coloring, heavy cream and white wine vinegar. Mix on low speed for 30 seconds. Scrape the side and the bottom of the bowl again to make sure everything is fully incorporated. Scoop the batter into prepared pans, using a standard size ice cream scoop, filling about 3/4full. 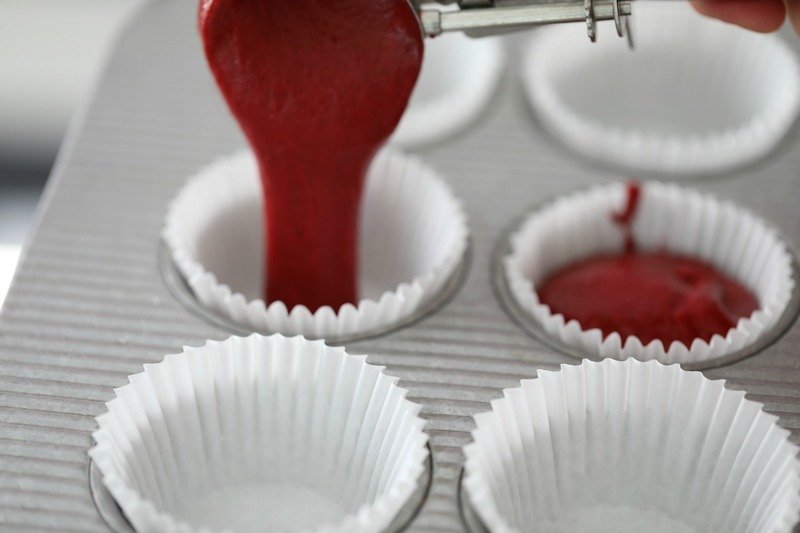 Bake for 15-20 minutes or until a cake tester inserted into the center of a cupcake comes out clean. Transfer the pans to a wire rack to cool completely. Frost these cupcakes with vanilla frosting you can find the recipe →here. 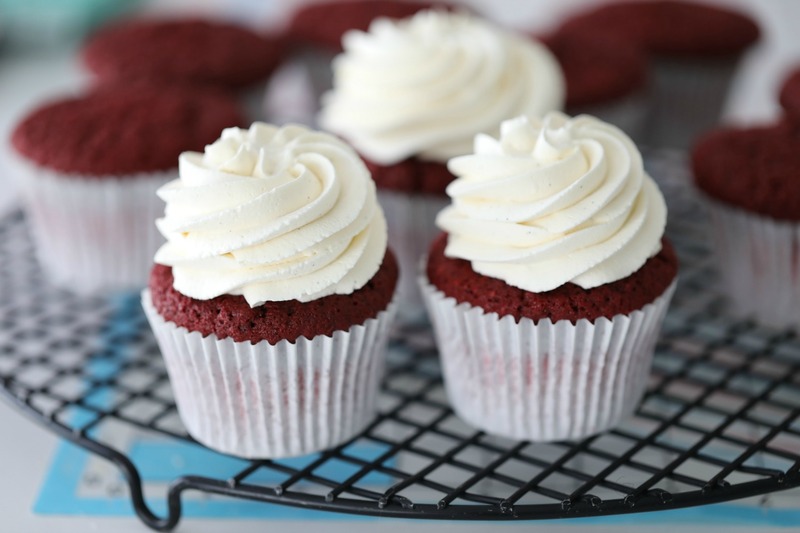 I use an ATECO 849 nozzle, to decorate these cupcakes, and then top each cupcake with some crumbs from 1 one red velvet cupcake. Hi! I love your blog. The photos and videos are lovely. 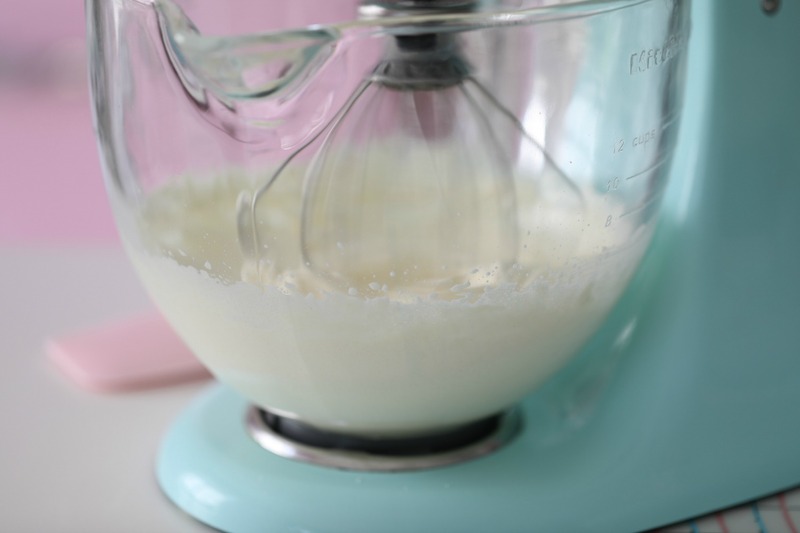 And your vanilla frosting recipe is awesome! It’s so delicious. I made it to frost my birthday cake last year. 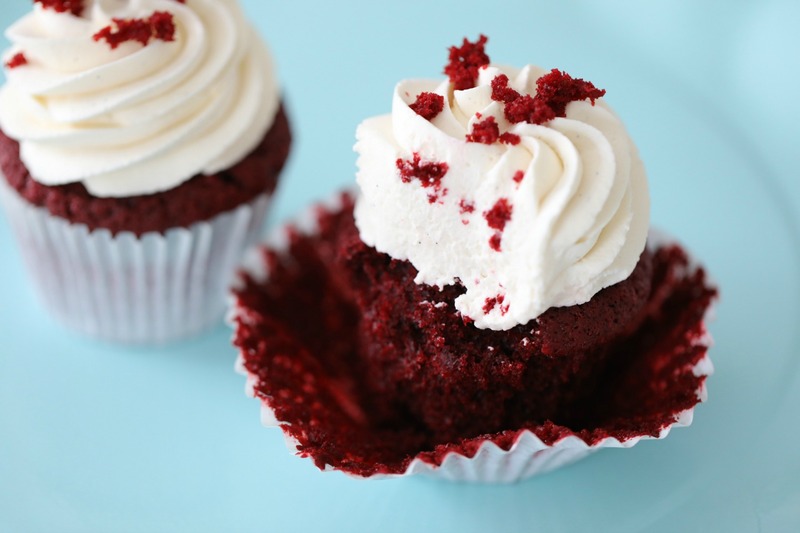 I was just wondering if you really meant you’re NOT (what you wrote in the post) a fan of red velvet cupcakes. I’m not either, just because of all that red food coloring, which I don’t really want to eat. But I’m wondering why you made them if you don’t like them. They look great anyway! 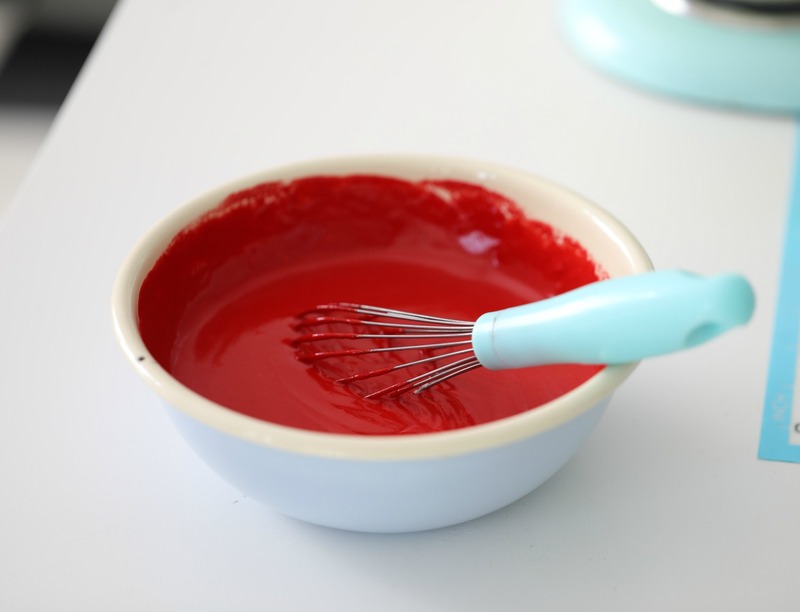 I know people say the food coloring is part of the flavor, but if I try this recipe maybe I can find some natural coloring or just leave it out.